If you are fasting this NAVRATRI, try these healthy & simple diet techniques to Lose Weight , Gain energy & Detoxify Your Body. Sattvic Diet: Ayurveda focuses on Sattvic Diet, mainly comprising of fruits, milk & preparations made from vegetables. This will help in cleansing & detoxifying the body. Take Healthy & Nutritious Food: Opt for fruits like bananas, apples, guavas, oranges this will help in keeping your energy levels high. Take low/no fat dairy products like paneer, milk, curd, lassi to fulfil your protein requirement. You can have nuts like almonds, walnuts, groundnut, anjeer as well. Avoid these Foods: Avoid sabudana, chips, fried food, high salt content food items, too much of Tea or Coffee or sugary foods. Maintain Fluid Levels: Drink lot of water, vegetable & fruits juices during these 9 days to replenish your body fluid levels. Prevent Acidity: Take smaller & frequent meals to avoid acidity. This will provide you with required energy throughout the day. Keep Energy Levels in Check: When you break your fast, take protein and whole carb-rich food like low/no fat dairy products, fruits & vegetables so that you will have ample energy to begin work the next day. Don’t Overwork Yourself: Set a clear schedule for your work, and don’t let fatigue overcome you. Navratri fasts are supposed to help your body/body organ rest and detoxify, and burdening yourself too much will have a detrimental effect on your health over the 9 auspicious nights. Make sure that eating too little doesn’t affect your performance at work. Avoid Stress: Stress can harm your health and weaken you further during the Navratri fast. Try not to stay hungry for hours together and drink lots of fluids to keep stress levels in check. Take Proper Rest: Resting your body is very important during these 9 days, try some simple yoga/meditation techniques this will help in relaxing your body & mind. CAUTION: Fasting is a technique to cleanse & detoxify your body, do not punish your body by starvation. 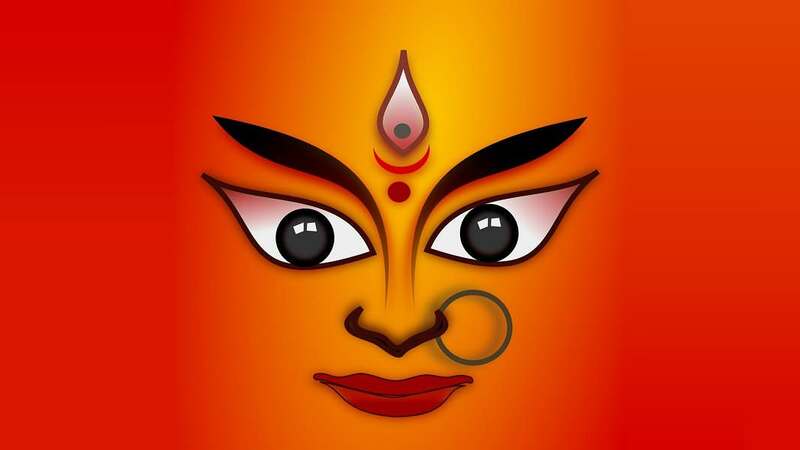 Wishing everyone HAPPY & HEALTHY NAVRATRI!